The Headstand or Sirsasana is an advanced inversion of Salamba Sirsasana yoga which wields great core strength and body balance. It involves a 180-degree leg lift by the support of a strong core as the torso is set perpendicularly to the mat, having the body in a straight line from the head to the heels. The greatest reward of the Headstand Sirsasana is that of a rushing sense of deep calm as a point of equilibrium is reached in the mind and body. 1. Prepare to push up your head and arms using the padding of a folded blanket or solidly stacked towels. Now, go down on your knees on the floor, lacing your fingers together and the forearms rested solidly on the floor and maintaining the elbows about shoulder-width apart. Your upper arms should be rolled outwardly but the inner wrists quite dug into the floor. After this, embed the crown of the head on the floor. Note– A good way to provide support to the head would be to interlock your fingers and have the curve of the joined palms to the back of the crown. The supported headstand or Salamba Sirsasana with the head nestling in the folds of the palms can also help gain vital balance. 2. Pick up your knees off the floor with a deep inhalation and at this point of the Sirsha Asana, your feet are still loosely in contact with the ground. Move up the feet towards where your elbows are. Walk them in little steps as further up as your flexibility allows. Now create an upward pressure through the top thighs, with the kneecaps aloft and the lifted thighs forming an inverted “V”. Harden up your shoulders pressed against your back and lift them jointly towards your tailbone. Keep your torso elongated and pushed toward the tailbone. You need to be cautious as not to relax them as the entire weight of the upturned torso can then fall on your neck and head. 3. Breathe deeply out and with it, slowly start taking your feet loosely off the floor. Now, bounce both the feet high up at the exact same moment. Never mind a little hop in this move and a deep bend of the knees. After considerably mustering how to do Sirsasana, you will know to harness strength from your lower body, firm up the tailbone against the pelvic wall, having the legs or thighs perpendicularly set against the floor. Tone the upper thighs minutely inwards and press up the heels heavily towards the ceiling. This is also the right moment to straighten out the knees. Your entire stance could be swaying until a certain expertise is gained in these advanced Sirsasana steps or unless you are using any prop or wall support. Give it time to sync and settle. Remember your alignment pointers—the center of the feet arches should be on top of the pelvic center, which again should be aligned directly over the head crown. 4. Turn the external arms to the inside and softly loosen the fingers. Keep your shoulder blades strongly drawn toward the tailbone and against the back. Keep them strong and widened. The pressure points of the weight distribution of your torso are now mainly about your forearms. Continue pressing up along the line of your tailbone and extend the stretch up your turned legs towards your heels. Feel the backs of your legs totally lengthened out as you push through the heels. Now, shift the push-up force through the balls of your big toes, slightly nudging them down. 5. The ideal holdout time for the pose is three minutes. You must reach it through slow steps of practice. Start at 10 seconds, promote to five and then to 10 seconds and continue. There are ample instances of advanced practices continuing the holdout time to as long as 5 minutes as it gets more comfortable with practice and it also feels exceptionally calming and contemplative in this inverted position. De-Stress and Mind Calm–The Headstand is best known to inwardly draw one’s attention. The Sirsasana Yoga Pose can provide an escape from the worrisome thoughts and mitigate the effects of auto-stress responses in the body. Deep, diaphragmatically lifting, pranayamic breathing accompanying the performance of this posture also helps. Enhanced Focus and Longer Attention Span- Blood flow to the brain is one of the Sirsasana benefits that naturally catapults with this advanced inversion. With more oxygenated blood distribution in the brain cells comes the better focusing abilities. There is evidently more clarity in the thought process and alleviation of fears. Eye Health with Blood Flow to the Optical Capillaries-Turning head first and legs up also means a rush of blood into the face and facially set organs. Nutritious blood streams tough optical capillaries, clearing the eye channels, and enriching its niches. This roves as a good prevention for many possible eye issues. Nutrient Rich Blood Flow to Crown of the Head- At the same go, there is also nutrient inflow to the hair follicles, helping the thick and luscious growth of hair, and also eradicate diseases of the scalp. Glandular Flush Out- The adrenal glands along with other glands of the endocrine are the sources of auto-stress hormones on which the headstand puts direct pressure, flushing them out. This helps better adaptation to stressful situations. Perform Against a Wall– Go in the corner of the room and rest your hand clasp, shoulders, hips, and upturned heels with the support of the walls. This will help you in the much difficult feat of holding body balance in the Sirsasana Yoga. The sirsasana posture is an advanced inversion yoga and reasonably fraught with contraindications, like—back injury, headache, cardiovascular conditions, menstruation, neck pain, and pregnancy. Additionally, it is vital to note the importance of primary level yoga training before even attempting the modified salamba or supported Sirsasana for beginners. 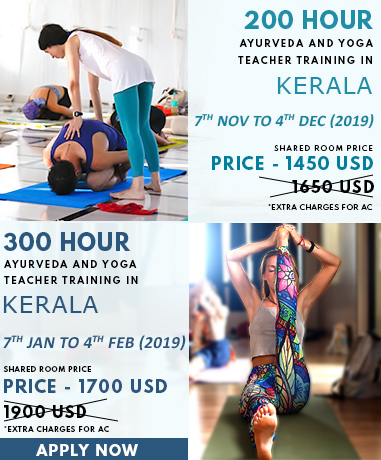 To know about Sirsasana in further detail, explore our Yoga Teacher Training In India.